PicsAid will allow retrieval of all the pictures that were synced with iTunes. In the event of a computer crash or simply in order to freely share pictures, PicsAid will allow to copy all synced albums to any computer you like, allowing sharing and recovery of those precious captures! 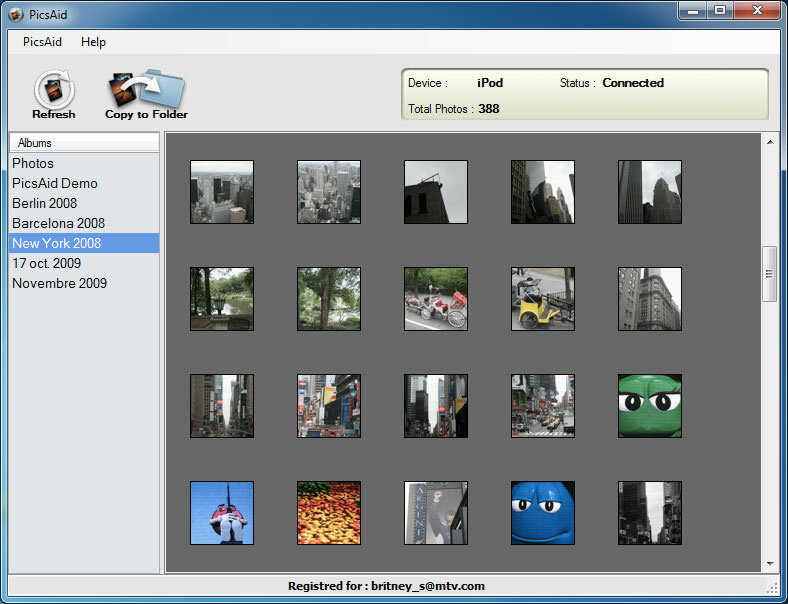 PicsAid was eventually replaced by the iMazing software. The PicsAid software seems to be old or discontinued. If you need more information please contact the developers of PicsAid (DigiDNA SARL), or check out their product website.